Maintenance free in the heart of Lakewood Ranch, close to everything but nestled away in a lovely gated community. Spend the evening with family cooking steaks on your built-in grill or relaxing in your secluded, private pool. Enjoy a glass of wine with friends in your garden-view lanai or pop some corn and watch a movie in the family room. 3 bedrooms and 2 baths provide ample space for family and friends and the pool bath entrance is convenient for both your guests and for you. Volume ceilings, crown molding and trey ceilings add to your home's elegance and style. When you want some quiet time or need to get some work done, you'll retire to your private den with it's glass French doors. Your 3-car garage provides space for a workshop and a golf cart too. Up for a round of golf, tennis or pickleball? 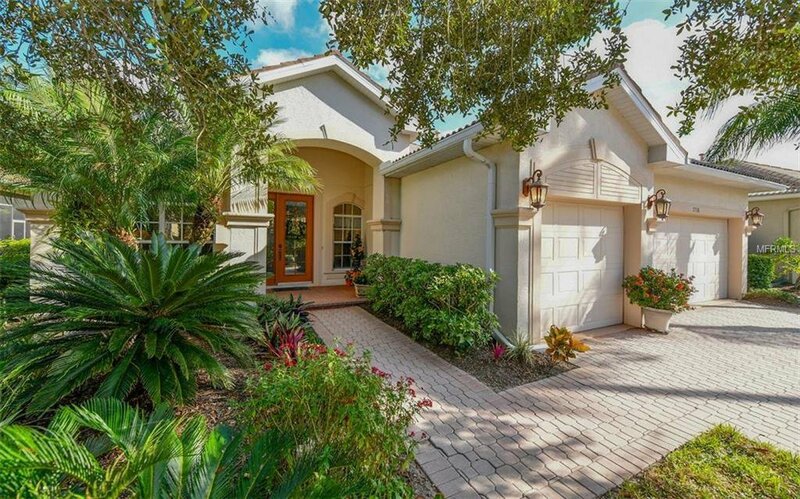 The Country Club community is home to the private Lakewood Ranch Golf and Country Club offering 36 holes of golf. Not a golfer- membership is not required. Just outside of the Country Club is the Legacy Golf Club offering 18 holes of daily fee golf. Take a spin class or pump some iron at the nearby Lakewood Ranch Athletic Center before dinner and a movie in Town Center. With miles of trails, parks and nature preserves; championship golf courses; a 140-acre sports campus; events on Main Street and so much more, you can do more of everything you love. You'll live just minutes from world-class beaches, shopping, dining, entertainment and attractions. Make your home here in the heart of Lakewood Ranch! Listing courtesy of KELLER WILLIAMS CLASSIC GROUP. Selling Office: KELLER WILLIAMS REALTY.